According to Financial Industry Regulatory Authority (FINRA) public records, Edward Murphy, a broker with David A. Noyes & Company in Chicago, Illinois, allegedly violated securities laws. He allegedly made unsuitable unit investment trusts (UIT) trades, recommended unsuitable investments, and misrepresented material facts related to an investment. These are all against securities laws. According to BrokerCheck online, Murphy was previously registered with The Milwaukee Company from November 1985 until October 1988, Dain Bosworth Inc. from October 1988 until April 1990 and Hamilton Investments from March 1990 until September 1994. He is currently registered with David A. Noyes in Chicago, Illinois, and has been since September 1994. He has four customer disputes against him, one of which is currently pending. Can Broker’s Borrow Money From Clients? The answer is usually no. Borrowing money from clients is usually considered a violation of the securities industry rules and regulations. Despite the seriousness of this rule, brokers regularly borrow funds from clients. In some instances, when brokers get caught borrowing funds, they get terminated from their firm or even kicked out of the securities industry. Consider the case of Patrick Joseph Friel. 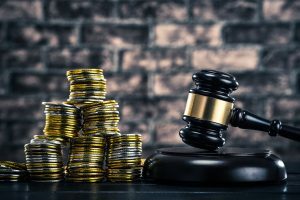 The former Saxon Securities and TFS Securities broker recently consented to FINRA sanctions and to the entry of findings that he improperly borrowed money from a customer at his member firm. The loan was interest free and did not have any terms of repayment. The findings stated that the firm’s procedures generally prohibited borrowing money from a customer, except in limited circumstances. He was then suspended from the securities industry for 30 days. In some instances, “borrowed” funds by a financial advisor can be recovered against the brokerage firm. To learn how, please call our law firm in Chicago, Illinois. According to a recent Financial Industry Regulatory Authority (FINRA) Disciplinary Proceeding, Further Lane Securities allegedly charged excessive markups on 55 corporate bond transactions with customers, in violation of securities rules. The firm also allegedly failed to adequately supervise the markup activities of its registered representatives in violation of those rules. According to the Proceeding, a registered investment advisor placed limit orders with one of the traders to build the portfolio of an individual customer. The rep sold the bonds to the firm’s retail customers with an additional markup and caused the firm to mark up twice each security that the firm sold to a customer. Excessive markups were charged in 53 of the transactions with the firm’s individual customers. This is against securities laws. Please call our securities law firm in Chicago, Illinois to speak to an attorney about your options of bringing a claim in the FINRA arbitration forum against Further Lane Securities in order to recover your investment losses. We take cases on a contingency fee basis. The call is free with no obligation. The Financial Industry Regulatory Authority (FINRA) recently fined Ameriprise Financial Services Inc. $850,000 for failing to detect the conversion of more than $370,000 from five customer brokerage accounts by one of its registered representatives. Ameriprise was accused of failing to adequately investigate red flags associated with nine third-party wire requests, including that the funds were being transmitted to a business bank account associated with one of Ameriprise’s representatives. This went on for two years before the misconduct was discovered. Ameriprise then paid restitution, plus interest and related fees and the representative in question was barred in June 2014. FINRA found that from October 2011 until September 2013, a registered representative of the firm took more than $370,000 from five Ameriprise customers. The representative then submitted request forms to transfer funds from the customers’ brokerage accounts into the business bank account of the office in which he worked, allegedly for the intended purpose of making investments. He then took funds from that account in order to pay himself additional salary and commissions. This against securities rules and regulation, and, because Ameriprise allowed the transgressions to take place, the firm may be responsible for losses. If you experienced investment losses with Ameriprise Financial, please call our law firm in Chicago at 312-332-4200 today to speak with an attorney about your options. The call is free with no obligation. We sue firms such as Ameriprise in the FINRA arbitration process on a contingency fee basis, which means we don’t make money unless you recover yours. There have been numerous Financial Industry Regulatory Authority (FINRA) complaints against John Tinnelly, a broker with Woodstock Financial in Hawthorne, New York. These include alleged securities law violations such as unsuitable investments, unauthorized trading and churning, or excessive trading. He also was accused of breach of contract which is against securities laws. Churning is typically engaged in only to profit the broker through the generation of commissions created by the trades. It can also generate large fees for the client. If you suffered financial losses at the hands of John Tinnelly, please call our securities law firm in Chicago, Illinois for a free consultation with an attorney. There is no obligation. We help investors recover their losses by suing the brokers’ firm, in this case, Woodstock Financial in the FINRA arbitration forum on a contingency fee basis. Please call today. 312-332-4200. According to his BrokerCheck report, Tinnelly was registered with Biltmore Securities in Ft. Lauderdale, Florida from May 1993 until August 1994, Monroe Parker Securities in Purchase, New York from August 1994 until December 1997, Fin-Atlantic Securities in Jupiter, Florida from April 1998 until October 1998, Emerson Bennett & Associates in Ft. Lauderdale from June 2000 until March 2001 and Woodstock Financial Group in Garden City, New York from September 2008 until May 2013. He is currently registered with Woodstock Financial in Hawthorne, New York and has been since May 2015. He has 10 customer disputes against him, two of which are currently pending. Stoltmann Law Offices is investigating Frank Auyeung, a Morgan Stanley broker in Cupertino, California. Auyeung was accused of misrepresenting and recommending unsuitable investments and of recommending volatile, unsuitable and un-diversified investments. He was also accused of overconcentrating investments. This refers to a broker’s failure to diversify a customer’s portfolio among a variety of assets. Brokers and their brokerage firms who fail to diversify customer investments may be subject to disciplinary action by the Financial Industry Regulatory Authority (FINRA) and may be sued in FINRA’s arbitration forum. We sue firms such as Morgan Stanley on a contingency fee basis for not reasonably supervising their brokers and allowing them to break securities laws. According to his online, public FINRA BrokerCheck report, Auyeung was registered with Laney & Company in Highland, Utah from September 1992 until June 1994, Citicorp Investment Services in Long Island City, New York from June 1994 until June 1996, BA Investment Services in Oakland, California from June 1996 until July 1999, Banc of America Investment Services in Boston, Massachusetts from July 1999 until June 2004, Wells Fargo Investments in Cupertino, California from May 2004 until January 2011, and Wells Fargo Advisors in San Jose, California from January 2011 until August 2012. He is currently registered with Morgan Stanley in Cupertino and has been since August 2012. He has three customer disputes against him. If you invested money with Frank Auyeung, please call our securities law firm in Chicago to speak to an attorney about your options of suing his firm, Morgan Stanley in the FINRA arbitration forum to recover your losses. We sue firms such as Morgan Stanley on a contingency fee basis. The call to us is free with no obligation so please call today. 312-332-4200.